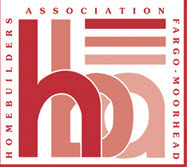 Welcome to the North Dakota Association of Builders’ website. We hope you will find valuable information, whether you are a builder member, an associate member, or a consumer. Live the American dream of homeownership. Our North Dakota builders look forward to working with you! The mission of the North Dakota Association of Builders is to represent the professional building industry through legislation, information and education.